Is Nonito Donaire a Future First-Ballot Hall of Famer? Do you think Nonito Donaire is a first time IBHOF Inductee when he becomes eligible? As it has been widely reported, Nonito “The Filipino Flash” Donaire, 38-5, 24 KO’s, will face off against Northern Ireland’s Ryan Burnett, 19-0, 9 KO’s as a part of the World Boxing Super Series (WBSS) 118 pound tournament. Burnett’s WBA (super) world bantamweight title will be up for grabs. I’ll spare you the same details on how Donaire is returning to 118 pounds for the first time in years and how he’s in the tail end of his career taking on a young—hungry fighter. The question I ask is whether or not Donaire is a first ballot hall of famer? Let’s dig a bit deeper…. Donaire burst onto the professional scene, and our viewing hearts, in a major way when he knocked out then undefeated IBF world flyweight champion, Vic Darchinyan, in the fifth round of their 2007 clash. It was at this moment that Donaire “arrived.” It was the manner in which Donaire dropped Darchinyan with a perfectly placed, short and brutal left hook. This sent shockwaves throughout the division. Donaire has a raw and athletic style built around his explosiveness within range. He did some things unconventional, but his youth and athleticism made up for such flaws. He was also a rather big and long flyweight to a certain degree, even so as he moved up in weight. At this time he was successful in his first title shot and moved ahead, continuing his winning ways. Defending his title against all comers. Fast forward to 2010, having moved up to super fly, he kicked out Tyson Marquez in the eighth round of their July 10, interim WBA world super flyweight title fight. This was the first time Marquez had been knockout out. Let’s move a few months ahead, now 2011, Donaire takes on Fernando Montiel. Donaire knocks him out in the second round and picks up the WBC and WBO world bantamweight titles. This same year he defends the titles against then undefeated Omar Narvaez. Donaire moves up to Super bantamweight in 2012. Donaire fights four times that year with the year being capped off with another vicious knockout, this time it was Jorge Arce. During this span Donaire picked up the WBC and WBO world super bantamweight titles. This led to a much-anticipated showdown with undefeated, two time Olympic gold medalist, Guillermo Rigondeaux in 2013. The WBA and WBO world super bantamweight titles were on the line. There was much anticipation leading into the Rigondeaux showdown though many favored the talented Cuban. That said, to a certain degree it was pretty much a 50/50 fight come fight time. When the fight actually commenced it turned out to be a textbook performance for Rigondeaux as he essentially beat Donaire in every aspect of the fight, despite being dropped by Donaire in what was a flash knockdown. This fight was essentially the first real sign of vulnerability for Donaire. Prior to the loss to Rigondeaux, Donaire was at the time considered to be one of the 10 best fighters in the world, pound for pound. An accolade he essentially earned through his performances and willingness to take on any and all comers. Two wins removed from the Rigondeaux loss, Donaire takes on a red hot Nicholas “Axe Man” Walters for the WBA (super) world featherweight championship. In what was an exciting fight, Donaire was stopped in the six round after essentially being chopped down by the younger, fresher, bigger, and stronger Jamaican. It wasn’t scratch free for Walters as Donaire did prove that he had the power to hurt him. Donaire again bounced back and in 2015, Donaire picked up a vacant WBA super bantamweight title with a unanimous decision over Ceasar Juarez in an exciting and gutsy performance by each fighter. Donaire defended the title once before losing it to a young and streaking Jessie Magdaleno in 2016, thus again sending Donaire back to the drawing board. Regardless of what happens on November 3rd, Donaire is a first ballot hall of famer in my book. Let us know your thoughts and keep checking in on RSR for the latest as this fight continues to develop. 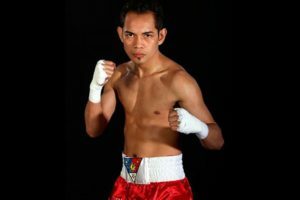 Posted in BOXING NEWS Tags: "Is Nonito Donaire a Future First-Ballot Hall of Famer?"